Welcome and thank you for visiting my website. 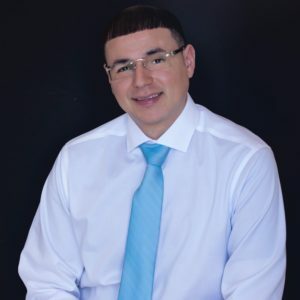 My name is Daniel Rodriguez and this is your online resource for a wide range of real estate needs in San Antonio, Texas and the surrounding areas. Here you can search for homes for sale in San Antonio, learn about selling your home, check local school ratings, search any community, and even check out the area’s activities and attractions. I hope you find this site useful for learning all you need to know about San Antonio real estate. As a native of San Antonio, I am extremely familiar with the Greater San Antonio area and surrounding communities. I have been a full time Real Estate Agent for over 14 years, specializing in single family homes, luxury properties, golf course communities, new construction, land, and condos, villas and town homes. I am knowledgeable in a variety of San Antonio area real estate, working with many relocation buyers moving to the area and surrounding communities. I also have a strong reputation of professionalism and integrity and provide a high level of personal attention and customer service. I am also an official real estate agent for Veterans United and for DR Horton in the Stillwater Ranch and Amhurst communities. In addition, I am a Redfin Partner Agent for San Antonio. When you put your needs in my hands as your real estate expert, you can expect a professional partner who values communication and provides honest answers to your questions and concerns. I will represent your interests with dedication and commitment and will calmly arrive at your desired results. Have a question? Contact me at (210) 835-8508!